Kale is currently the only crop available in my garden so I have come up with different ways to make use of it. This Chinese style side dish works really well with steamed fish. It is based on a green bean dish I often cook to go along side crispy duck. 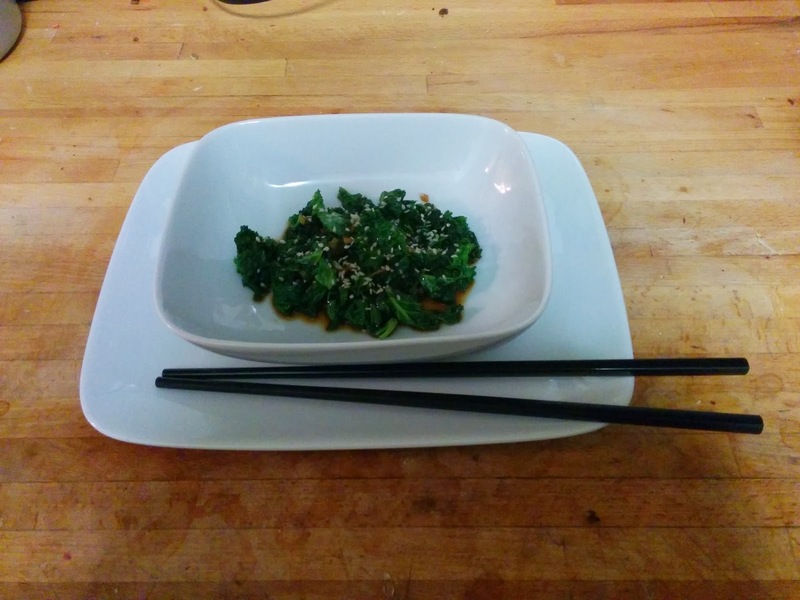 The saltiness of the the soy sauce really compliments the kale. Whilst this dish is delicious I am glad I don’t have to live solely off my garden at this time of year. Although it worked for Charlie’s family in Charlie and the chocolate factory. Or was that cabbage? Remove the kale stalks and slice the leaves into strips. Heat the nut oil in a wok or frying pan. Finely dice the garlic ,drop into the wok and briefly stir fry. Stir fry for a minute until the kale starts to drop.